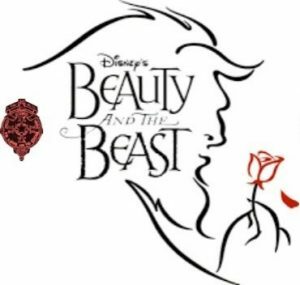 Step into the enchanted world of Broadway’s modern classic, Disney’s Beauty and the Beast, an international sensation that has played to over 35 million people worldwide in 13 countries. Based on the Academy Award-winning animated feature, the stage version includes all of the wonderful songs written by Alan Menken and the late Howard Ashman, along with new songs by Mr. Menken and Tim Rice. The original Broadway production ran for over thirteen years and was nominated for nine Tony Awards, including Best Musical. When you book your audition, you will see these dates again on the school interviews screen. The Beast’s tortured soul is evident for all to see. He is paying the ultimate price for a moment of mean-spiritedness, and wishes beyond wishing that he could rectify his mistake. There is anger and menace in The Beast’s appearance and behavior, but increasingly we see his soft and endearing side as he interacts with Belle. It becomes clear that he is a loving, feeling, human being trapped within a hideous creature’s body. This role requires a very strong singer, and the actor must have a strong speaking voice and stage presence. Belle is the original fairy tale heroine–kind, gentle, and beautiful–but with an important 21st Century twist. She is a strong, intelligent, spirited and independent young woman. Belle is the moral conscience of the story, elevated by her thoughts and deeds. The maturity and depth of her character allow her to see the true beauty and spirit within The Beast, and to love him for it. This role requires a very strong singer who portrays innocence with her singing and speaking voice. Gaston is the absolute antithesis of The Beast. Although he is physically handsome, he is shallow, completely self-centered, not very bright, and thrives on attention. However, when his ego is bruised he becomes a very dangerous foe for The Beast, Belle and Maurice. This role requires a strong singer and character actor who moves well. Babette is a saucy, enchanted feather-duster, and the object of Lumière’s affections. This role requires good character acting and she should move well, as she dances a tango with Lumière during Be Our Guest. This character speaks with a French accent. Chip is an inquisitive little teacup who is the son of Mrs Potts. Cogsworth is a tightly-wound, enchanted mantle clock and the head of the Beast’s household. He is a stuffy English man who loves perfection.. This character speaks with a British accent. This role requires strong character acting. LeFou is Gaston’s dim-witted, servile sidekick. He goes to extraordinary lengths and suffers repeated humiliation in his efforts to please his master. The actor must be comfortable with physical comedy, and the role requires strong character acting. Lumière is the French butler who was transformed into a Candelabrum. He is light-hearted, suave, romantic, smooth-talking, and charming. He has a romantic involvement with Babette. This character speaks with a French accent.. This role requires strong character acting, and he should move well. Madame is a former opera diva turned enchanted wardrobe. Despite being a bit scatter-brained, there is no mistaking Maurice’s steadfast love for his daughter Belle. Kindly, gentle, enthusiastic and inventive, he becomes single-minded and determined when Belle faces danger. Maurice and Belle sing the lovely duet. D’arque is the creepy, scheming proprietor of the local insane asylum, Maison de Lunes. Mrs Potts is a warm-hearted, maternal enchanted teapot. She sings the title song Beauty & the Beast. This character speaks with a British accent. The silly girls are three pretty young maids who swoon over Gaston. There are many additional ensemble roles. The ensemble is very busy, as they are both townspeople and enchanted objects. There are several solo lines in songs like Belle, and The Mob Song, and many great dance numbers Gaston, Be Our Guest, and Human Again. The Enchantress and Young Prince, the Baker, the Baker’s wife and the Bookseller are all chorus members.